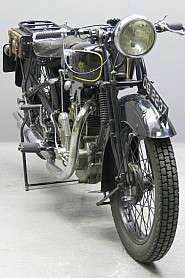 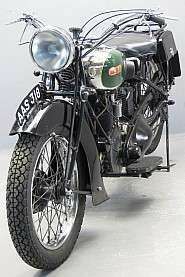 The outbreak of WW2 in 1939 brought production of all Series A models to a halt, and when Vincent resumed production at the war's end it was with the all-new Series B. 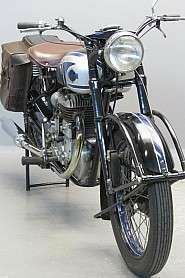 Its rear suspension aside, the Series A Vincent-HRD had been conventional enough: tubular steel frame, girder forks, separate gearbox, etc but with the Series B Messrs Vincent and Irving effectively established the marque's reputation for the defiance of convention in the pursuit of engineering excellence. 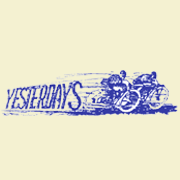 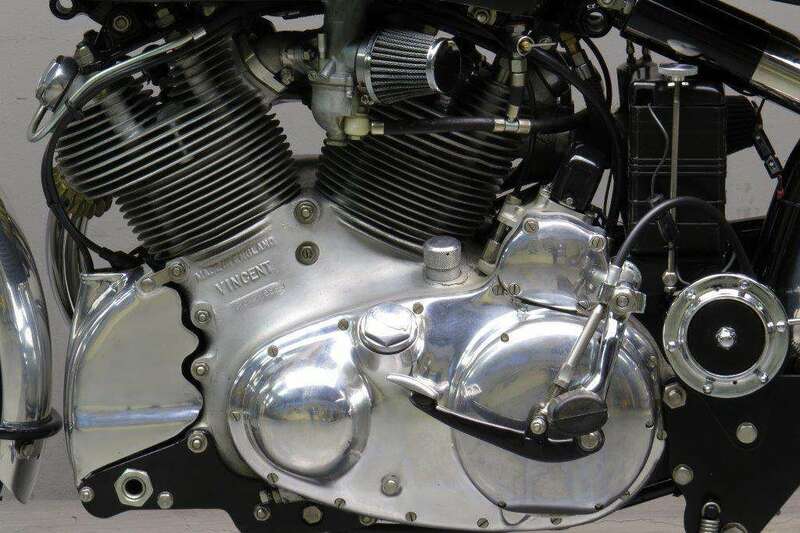 For a start there was no 'frame' as such, merely a fabricated box attached to the cylinder heads, that served as the oil tank and incorporated the headstock and the attachment point for the rear springs. 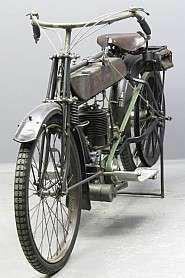 Only in his retention of the pre-war Brampton girder fork did Phillip Vincent appear to be lagging behind other manufacturers, almost all of which had switched to telescopics, but this apparent shortcoming would soon be addressed by the introduction of the famous 'Girdraulic' fork. 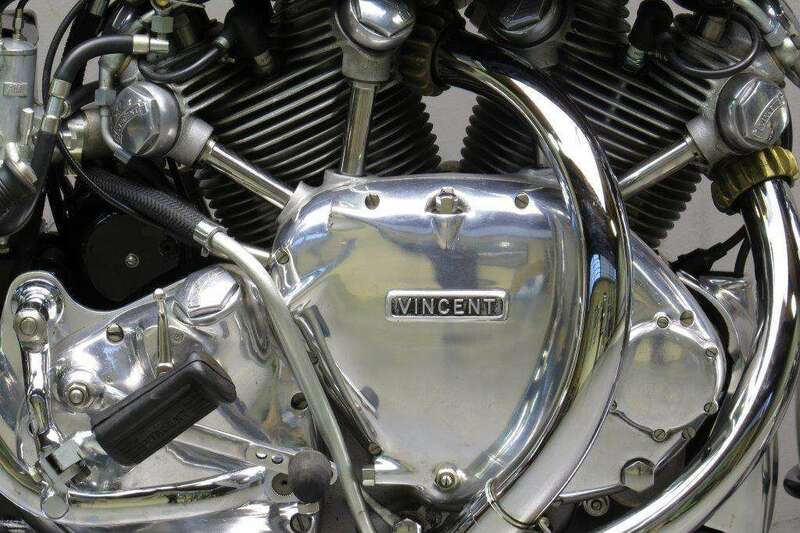 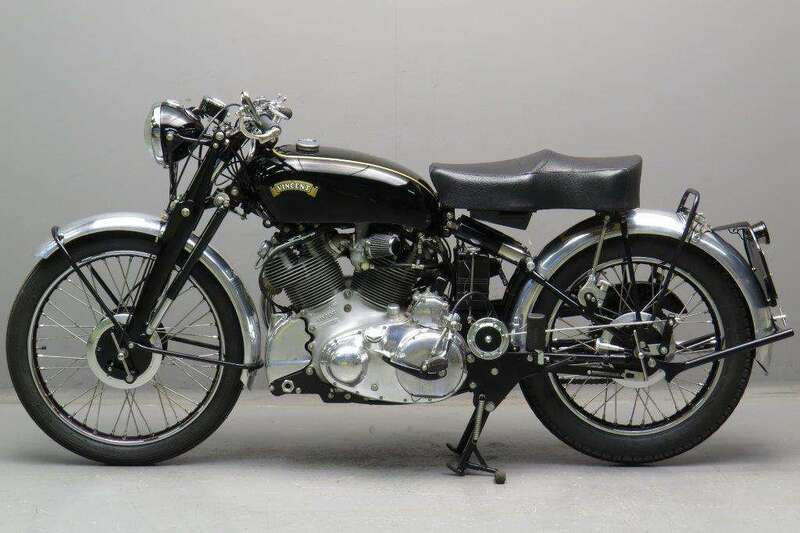 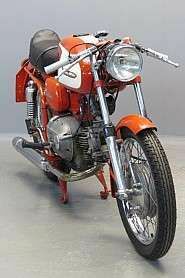 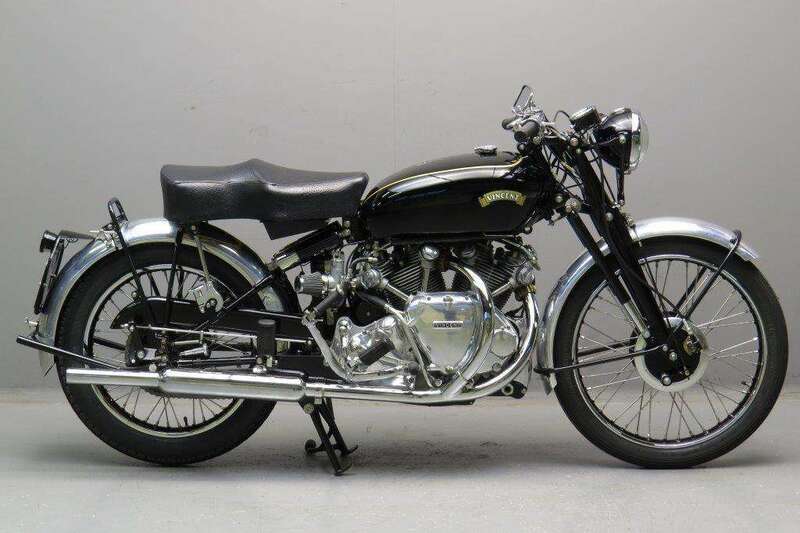 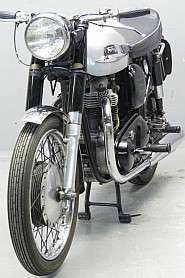 In 1948 the Vincent range began to be up-dated to 'Series C' specification. 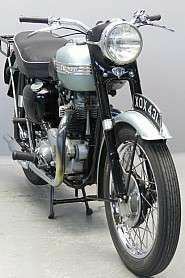 The most significant changes made concerned the suspension, there being a revised arrangement at the rear incorporating curved lugs for the seat stays and an hydraulic damper between the spring boxes, while at the front the new models boasted Vincent's own 'Girdraulic' fork: a blade-type girder fitted with twin hydraulic dampers.